This letter was written by 17 year-old Pvt. John Milton Redus (1846-1932), the orphaned son of John Redus (1795-1862) and Huldah Wright (1805-1859) of Livonia, Washington County, Indiana. John Redus came with his parents from Virginia when he was a child and grew up on his father’s farm three miles east of Livonia. John was married three times before his marriage in October 1843 to Huldah. His first marriage on July 17, 1820 was to Sarah D. Hutton. John married secondly, in 1831 to Martha Lynn. His third marriage was on January 30, 1834, to Nancy S. Davis. In the fall of 1860, John Redus sold his farm at Livonia and moved to a 200-acre farm near Iola, Allen County, Kansas. He died there in the spring of 1862. Pvt. Redus survived the war and returned home to Washington County to marry Laura Alice Cathcart (1863-19xx) in 1891. The 66th Indiana Regiment was organized at Camp Noble, New Albany, Indiana. 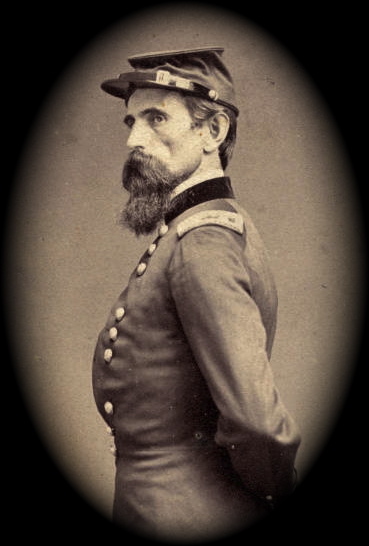 In response to Kirby Smith’s invasion of Kentucky, the regiment was hastily mustered into service in August 1862 under the temporary command of General Lew Wallace. 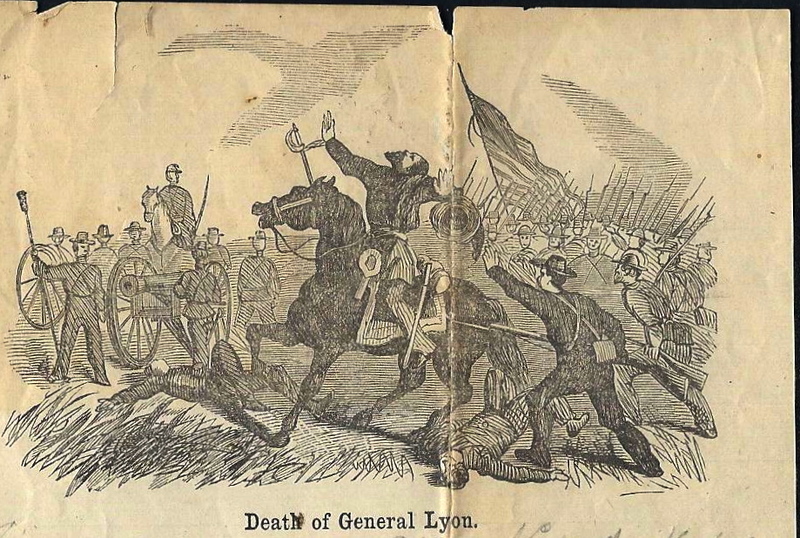 It marched to Lexington, Kentucky, where Lt. Colonel Roger Martin assumed command. The 66th Indiana was engaged in a battle near Richmond, Kentucky, on August 30th wherein most of the regiment was captured and paroled, necessitating the recruitment of replacement soldiers. Pvt. Redus was one of these replacements. From this letter we learn that Redus and the other new recruits were assembled at Camp Noble, Indiana (across the river from Louisville), then marched on 18 November 1862 to Jeffersonville where they embarked on railroad cars to Indianapolis and bivouacked at Camp Sullivan (now Military Park) where they remained for a couple of months. Pvt. Redus was mustered into Company H, 66th Indiana Infantry in January 1863. The 66th Indiana served in Tennessee and Mississippi before joining Sherman’s campaign against Atlanta, and fought in the battles of Resaca, Lay’s Ferry, Rome Cross Roads, Dallas, Kenesaw Mountain, Atlanta, and Jonesboro. It moved through the Carolinas and Virginia to Washington D.C. where it was mustered out of service in June 1865. Some recruits, including Pvt. Redus, were transferred to the 59th Indiana before being mustered out of the service in July 1865. At the time this letter was written in November 1862, General Lew Wallace had just received the assignment to serve as president of a court of inquiry to investigate the conduct of General Don Carlos Buell who had been relieved of his command by Gen. Rosecrans. That investigation would take Wallace a couple of months before we could return to the field. Pvt. Redus addressed this letter to a “brother” and his cousin “Walter” who must have lived in or near Lavinia, Washington County, Indiana. The brother must have been a step-brother as his only biological brother had died in 1859. It’s possible the letter was written to his step-brother, Samuel Davis Redus (1837-1862) an attorney in Livonia who was married in 1858 to Mary Ann Patton (b. 1840) but he is said to have died a month after this letter was written in Iola, Kansas. Chances are Redus wrote the letter to a different step-brother but the genealogical records for this family are scanty and useless in pinpointing the brother’s identity. Likewise, the “cousin Walter” remains unidentified. Walter was a common name in the Wright family so I’m going to conjecture Walter was a cousin on his maternal side of the family. I sit down this morning to write you a few lines. John, Albert, ¹ & I have got bad colds which are very disagreeable. I suffer some with a headache. Hope we will be better soon. We have got a nice camp but I will leave it in about 3 weeks, I expect. Lew Wallace’s brother ² was here this week. He said that we would go to Memphis first and perhaps we would go to Vicksburg next where we would be engaged in a fight he thought. And when we engage in a fight, I hope we will storm the castle. Well Walter, I have seen something since I left Camp Noble. We begin to know something of the hardships of a soldier’s life. It is five miles from Camp Noble to Jeffersonville. We marched the 5 miles in a constant rain and the mud & water about 6 inches deep. We spent two nights (since we got here) very uncomfortable fixed. There is about eight thousand soldiers here and five thousand more coming, but a good number will leave next week. The 5th Cavalry is here. They ex[er]cise just below our guard lines and Bill Young comes up to our camp once or twice every day to see us. Some of our boys go over to their camp sometimes. Cousin Walter, as I have not written to you since I’ve been in the service, I thought I would write some. We have seen some hard times since we left Camp Noble. The night we got to this camp, we saw some as hard times I think as we will ever see again. It gave me a very bad cold. In fact, it gave the whole regiment colds & coughs. We have received no pay yet but I expect we shall in 2 or 3 days — at least I hope so. I expect we will not stay here long although I cannot tell. Give my love to Uncle David’s folks. Mr. [Samuel Emmet] Barr ³ preached yesterday evening from the text, “My son, if sinners entice thee, consent thou not.” His sermon was very suitable to the occasion. General Lew Wallace was here yesterday evening. He came in about one hour before dress parade and I don’t know how long he stayed after dress parade. If I could see you all again, I feel like I would be willing to go anyplace they may see fit to take me. I would rather go south than not. Please write to me. It seems a long time since I heard from home. I have only got one letter from home yet that came by mail, I would like to get one more before I leave Indianapolis. ¹ This may have been Albert Vance who was born in Washington County, Indiana in 1844. He enlisted on 13 October 1862 with the 66th Indiana Infantry at Camp Noble but he suffered from chronic dysentery and was often on the “sick list.” Company records indicate that he received a medical discharge in 1863. Albert relocated to Schuyler, Illinois, after the war. ² This was probably William W. Wallace (1825-1891), an Indianapolis attorney. ³ Rev. Samuel Emmet Barr (1824-1905) was a Presbyterian Minister from Livonia, Washington County, Indiana, who enlisted in October 1862 as chaplain of the 66th Indiana. Sorry photo does not look like your ancestor. No disrespect intended. Would be happy to substitute photo with actial image of soldier if you have one available to share. I do have one, it went through a fire half his face is distorted from the fire, had it restored the best I could. I became a historian for our DAR Chapter, as well as National Society Daughters of the Union 1861-1865 for my great grandfather John Milton. I have his Bible , i got it when my dad Phillip Franklin Redus son of Charles died. To me it is very misleading, as well to others from our line that live here in Indiana.